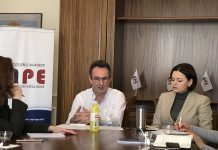 On April 4, 2017 the Center for Euro-Atlantic Integration and Democracy organized a round table in the framework of the project «V4+Security Strengthening the Eastern Frontier of the V4» in Budapest, Hungary. 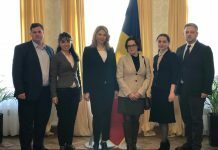 The objective of this particular project was to set up a platform for discussions on the topics related to the V4+ Ukraine and Moldova defence and security cooperation. The project foresees analysis of both ongoing activities within the Visegrad Cooperation and joint activities within the EU and NATO. The activities of the project consisted in 4 workshops unfolded in Prague, Kiev, Bratislava and Budapest. During the events participants debated topics related to the following problematic: Defence Planning Cooperation; R&D and Modernisation; Anti-propaganda Measures; Joint Exercises and Missions; Sharing Intelligence; Cyber Security Issues; Cooperation of the field of Education. As a result of round tables were elaborated practical recommendations about possibilities to strengthen the security of V4 countries + Ukraine and Moldova and presented in Budapest. The final papers are due to be published and presented to the stakeholders by the end of May. The project «V4+Security Strengthening the Eastern Frontier of the V4» is implemented by the Center for Euro-Atlantic Integration and Democracy in partnership with the Central European Policy Institute, Europeum Institute for European Policy, Casimir Pulaski Foundation, the Foreign Policy Council „Ukrainian Prism” and the Foreign Policy Association of Moldova with the financial support of the International Visegrad Fund. 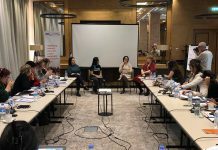 The target group include relevant ministries and agencies within the V4 and Moldova and Ukraine, think-thanks and academic institutions, other NGOs, as weel as NATO and EU officials dealing with security and defence policy.